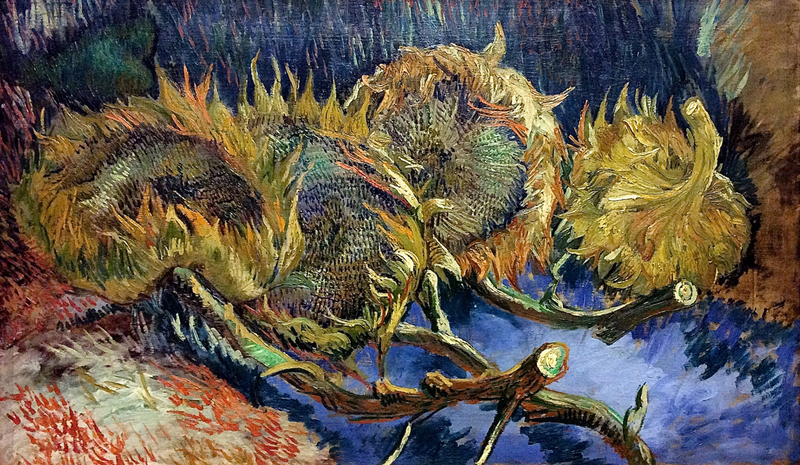 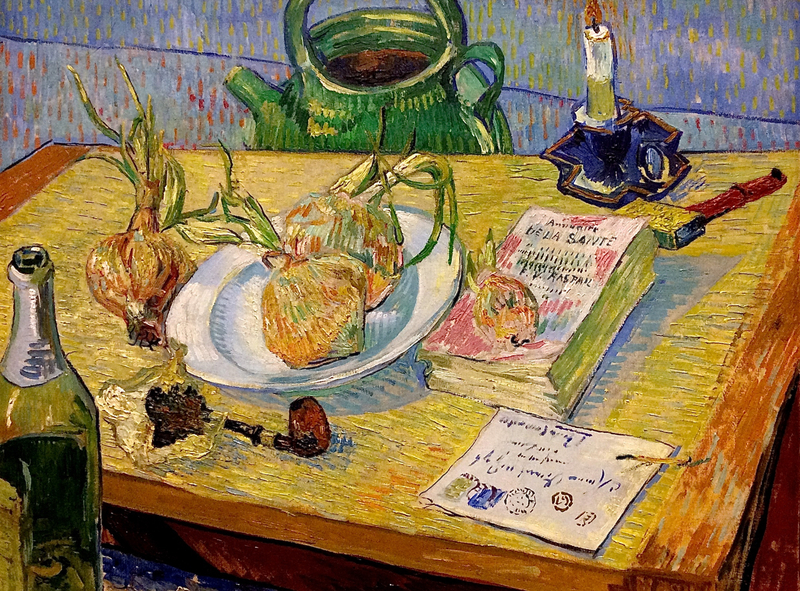 The second-largest collection of van Gogh's works in the world is held by the Kröller Müller Museum. It is located in a big national park called Hoge Veluwe near the town of Otterlo, about sixty miles south and east of Amsterdam. The Kröller-Müller Museum was founded by Helene Kröller-Müller, an avid art collector who was one of the first to recognize Vincent van Gogh's genius and collect his works. 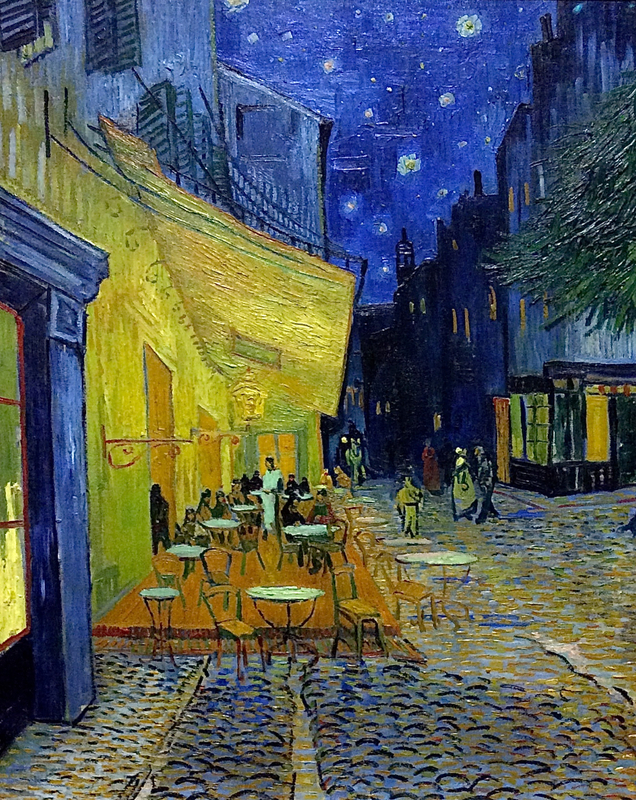 She picked up almost 90 paintings and 180 drawings while they were still cheap. In 1935, when economic times were rough, Helene Kroller-Muller donated her entire collection to the nation, along with a 75-acre forested country estate. 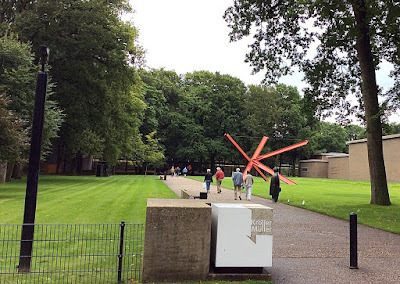 The government built a museum for the collection that opened in 1938, and turned the estate into the largest national park in the Netherlands. 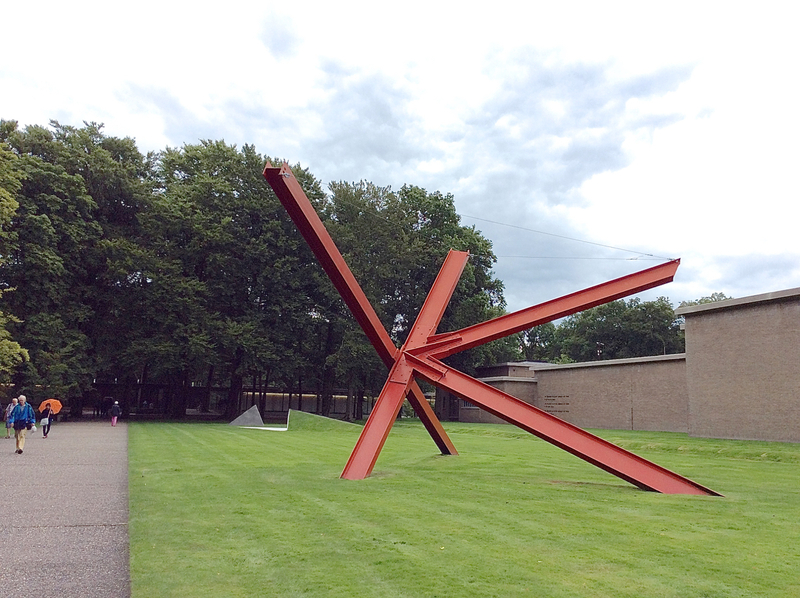 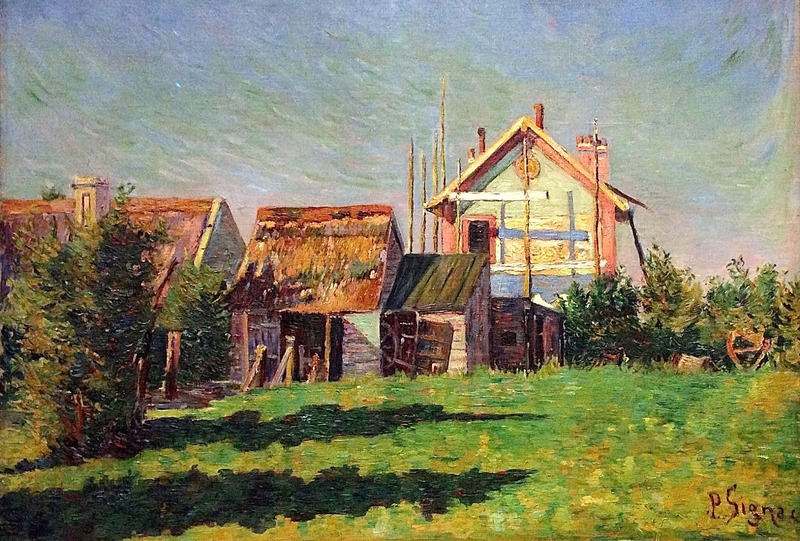 Although the Kröller-Müller collection is smaller than that of the Van Gogh museum in Amsterdam, the museum has a lot more of his work on exhibit. This is where you can get a true feast of van Gogh. 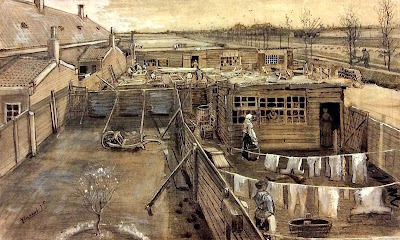 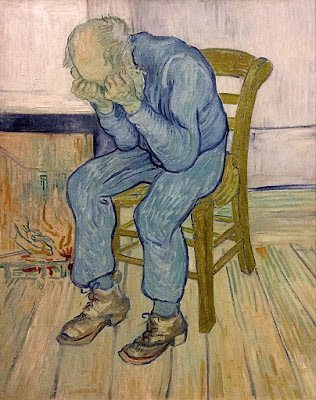 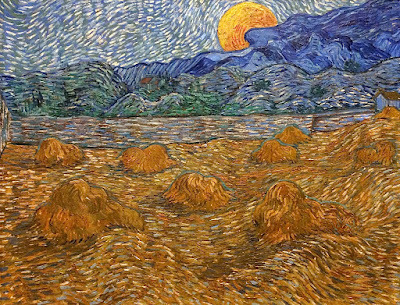 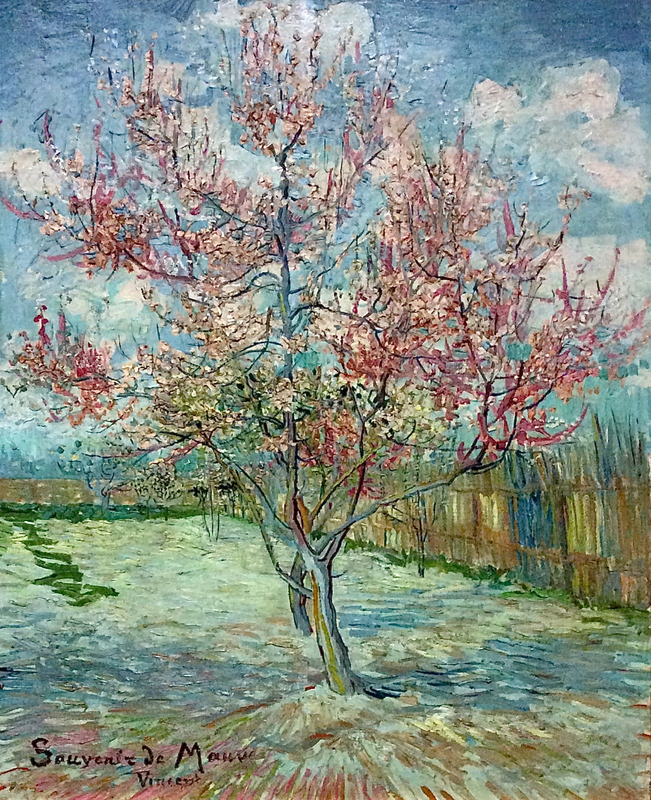 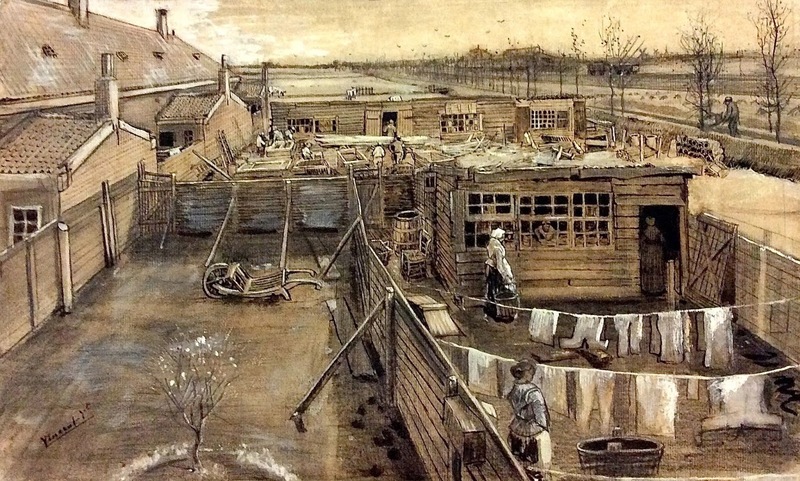 Van Gogh began studying art in earnest about 1881, when he was nearing thirty. 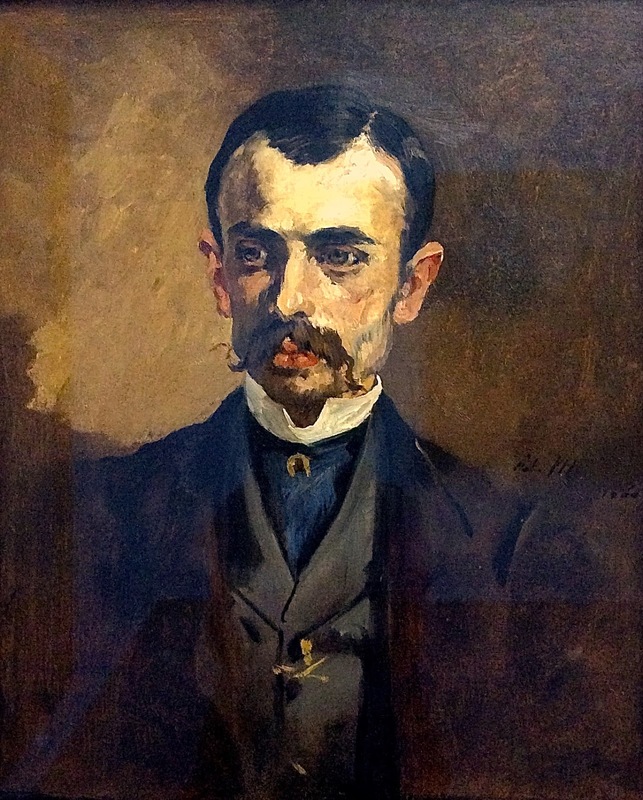 He died in 1890 from a gunshot wound. 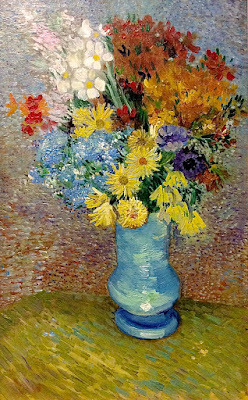 His progress as an artist in nine years was amazing and his output was prodigious. Camille Corot was an important pioneer of landscape painting in France because, although his paintings were generally finished in the studio, they were based on sketches he made from direct observation. 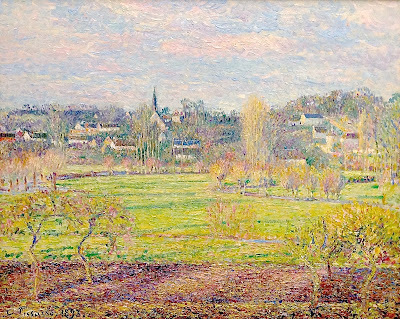 His example of direct observation from nature, and careful depiction of daylight effects, had a strong influence on the development of Impressionism. 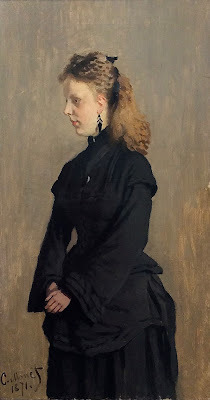 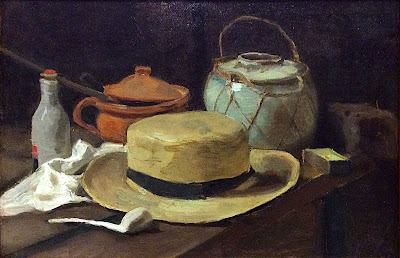 Manet was a Realist painter who constantly developed new techniques, and pushed Realism toward modernism. 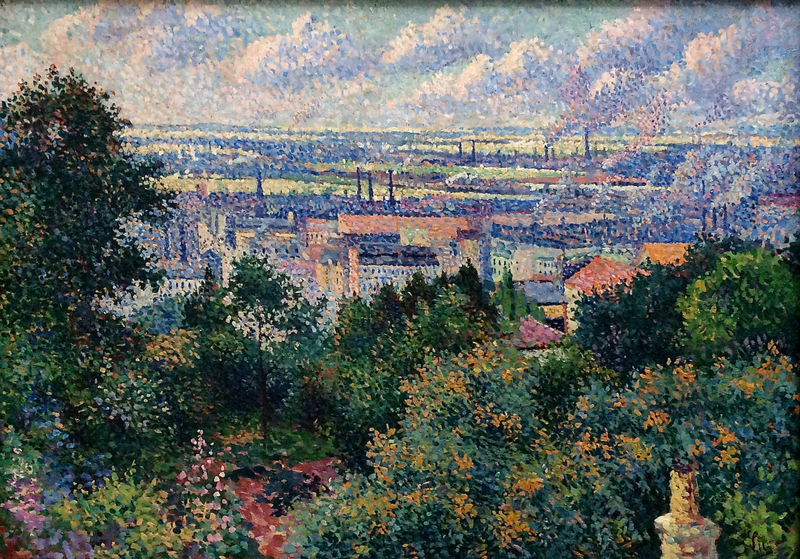 Before Impressionism, he sometimes painted in the Realist tradition. Renoir was one of the original Impressionists, but he had a solid grounding in traditional realism. 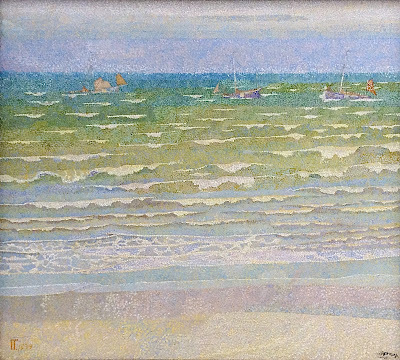 Toorop was a Dutch-Indonesian painter who is significant to the history of Dutch art, even though he is not widely known internationally. 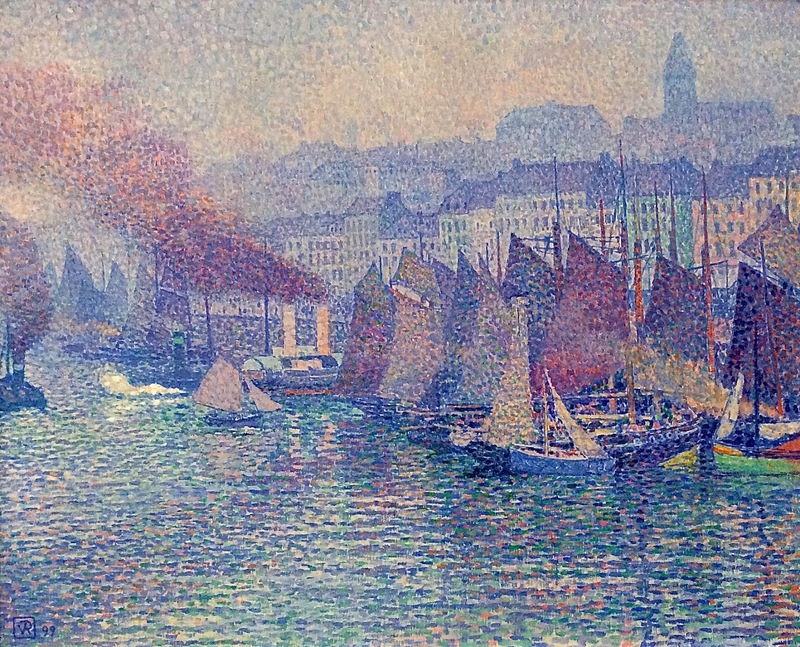 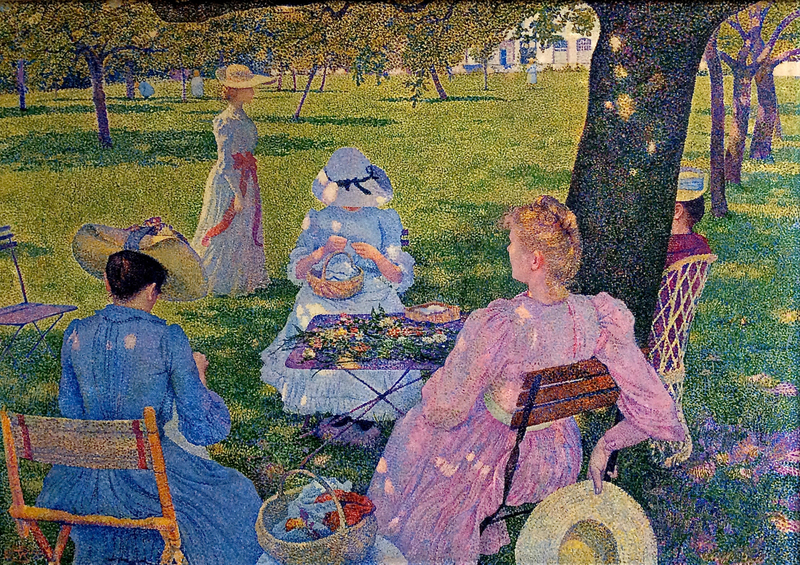 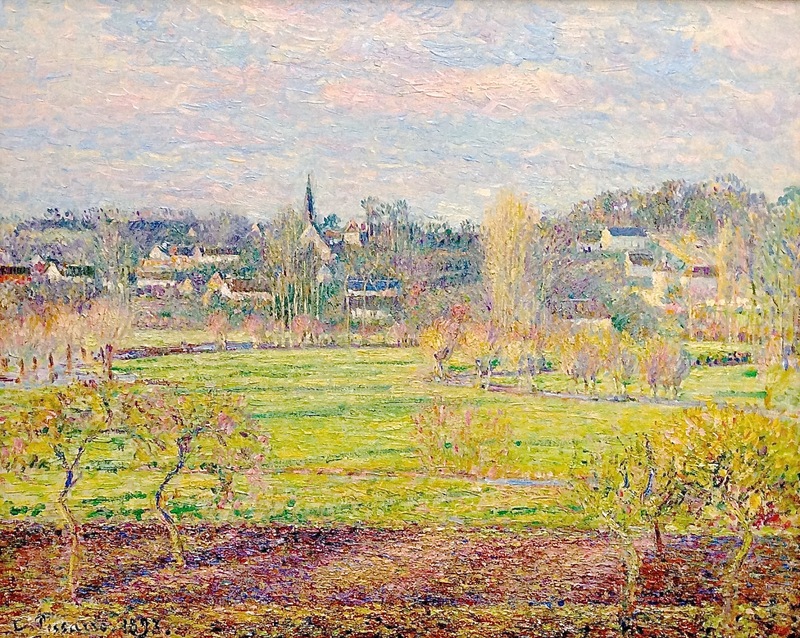 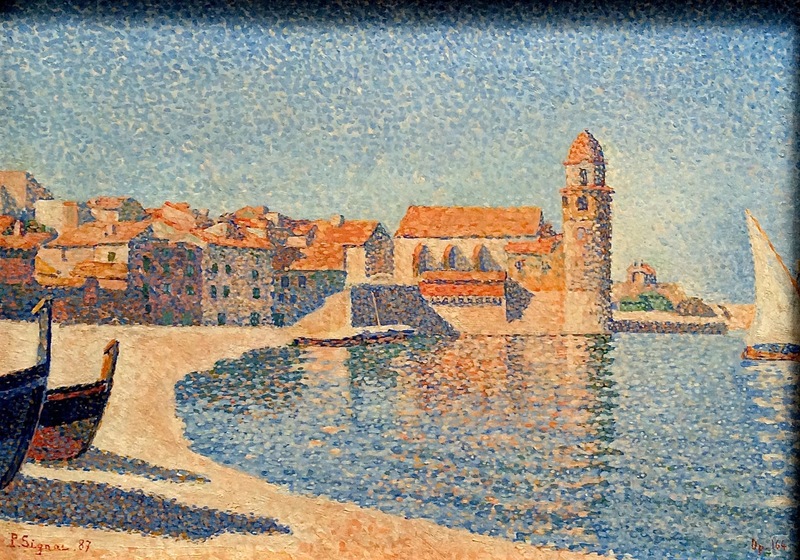 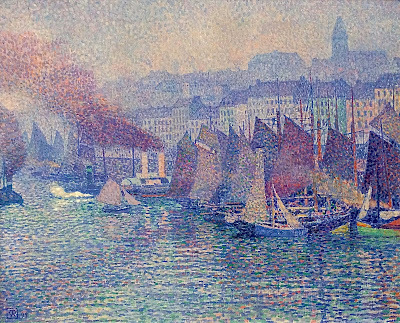 Although he is associated with a number of turn-of-the-century styles, some of his best works were examples of Pointillism. 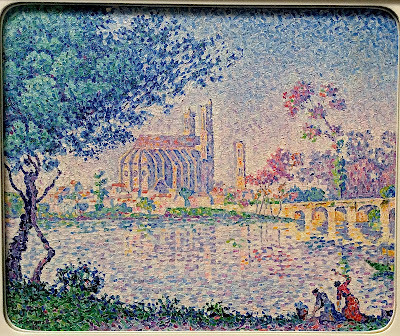 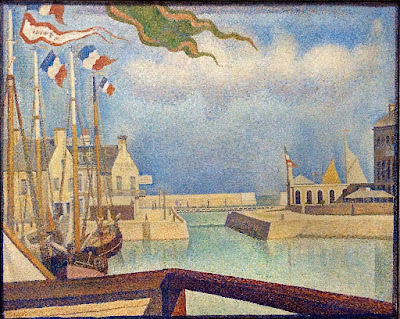 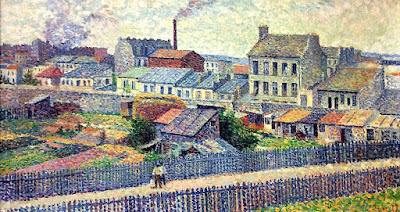 Signac worked with Seurat in developing Pointillism. 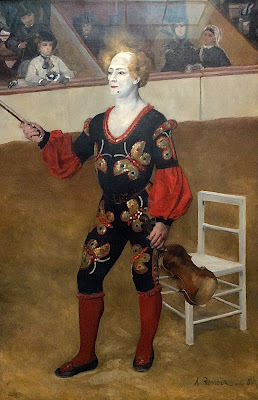 He explored many variations of this technique. 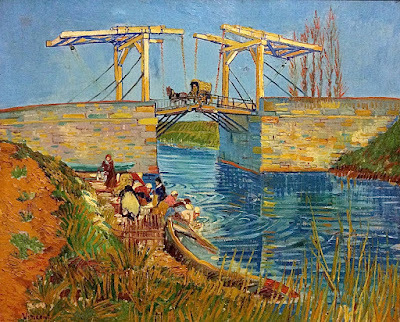 The Kröller Müller Museum in Otterlo has a major collection of paintings by Vincent van Gogh. 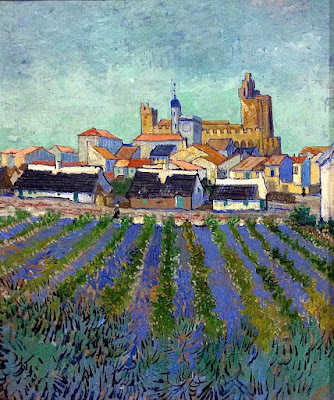 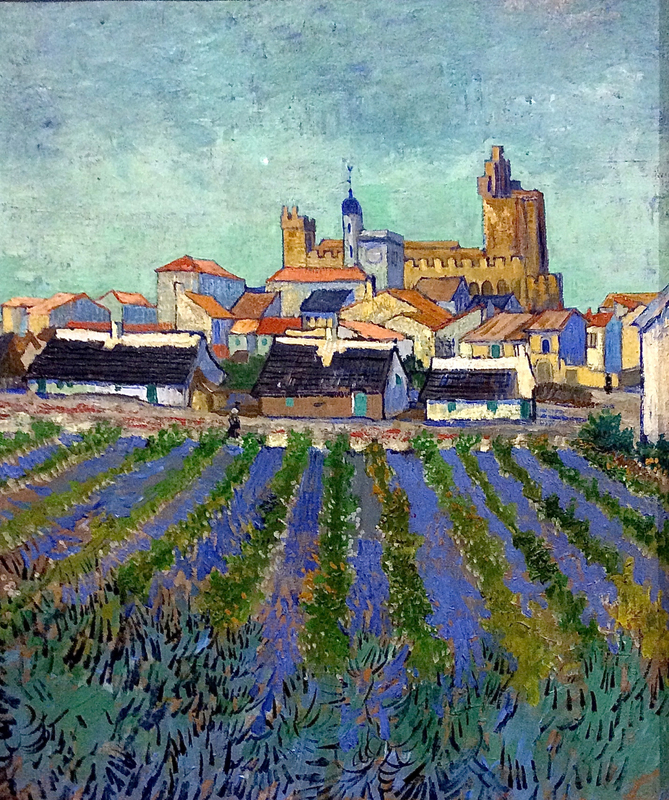 Van Gogh's career was only about 10 years long, and the bulk of his paintings date from the last few years of his life. 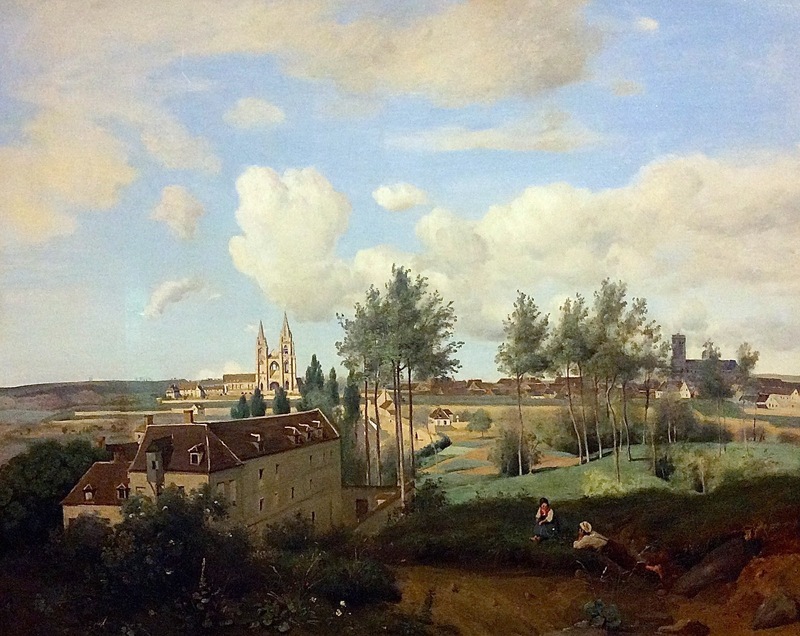 The museum also has a group of works by other 19th century painters. 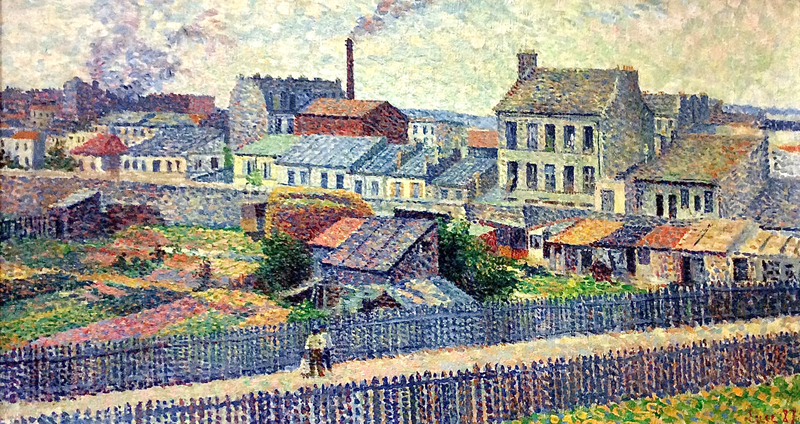 The museum has a substantial collection of paintings in the style of Neo-Impressionism or Pointillism. 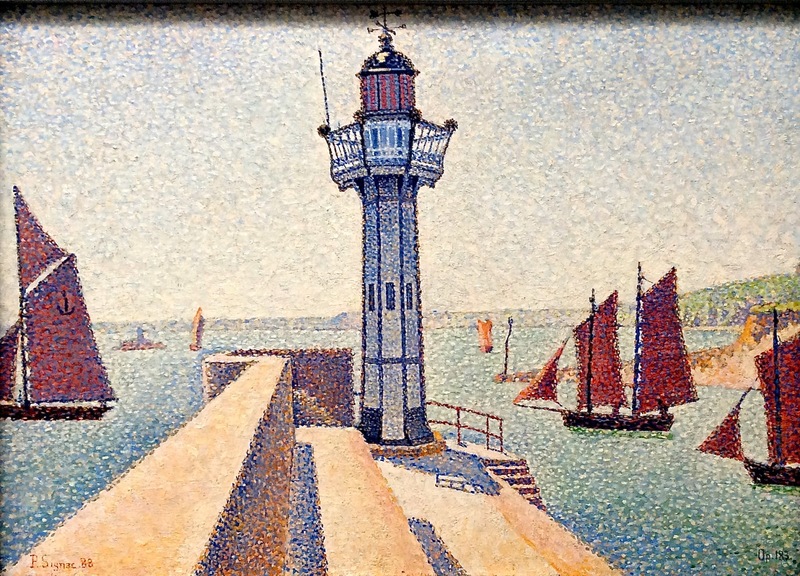 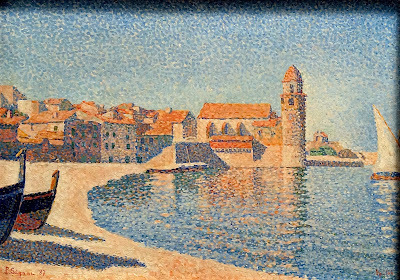 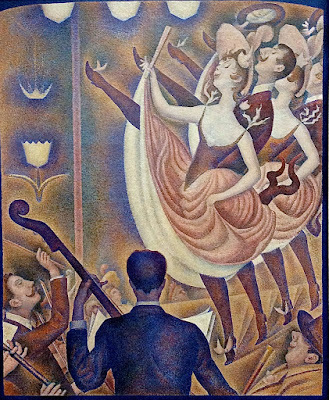 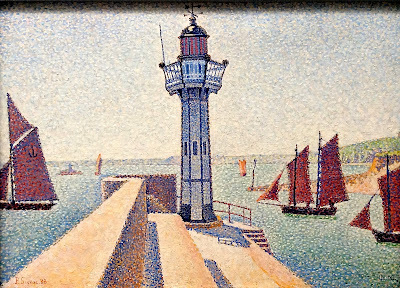 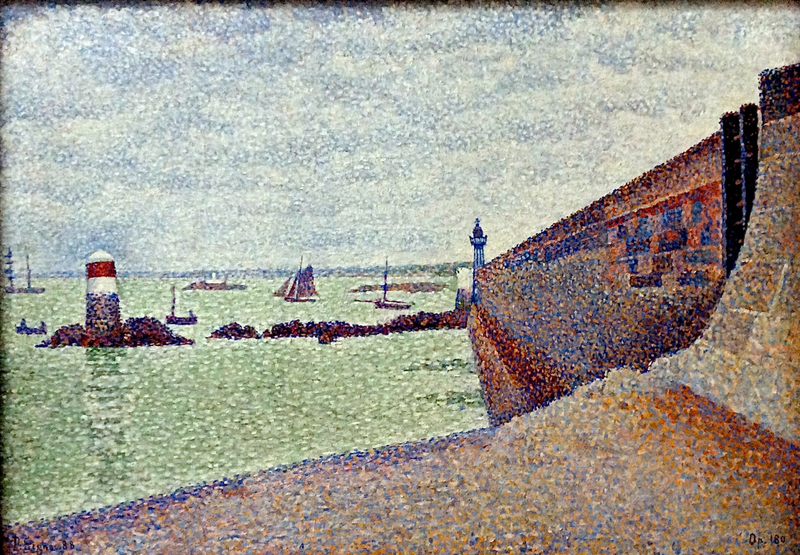 Pointillism was originated by Seurat and Signac. Maximilien Luce was a later Pointillist landscape painter. 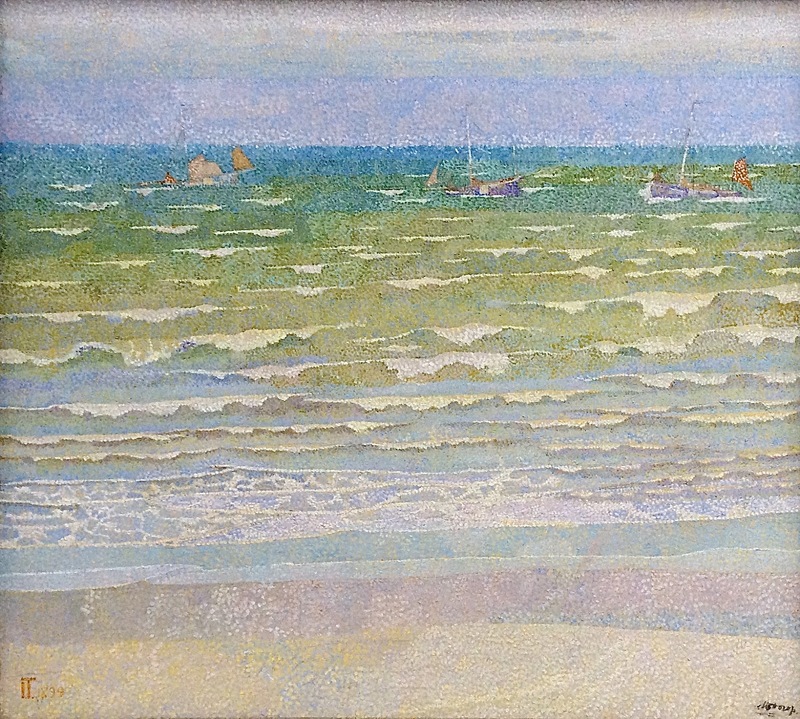 Jan Toorop was a Dutch artist who produced paintings in the Pointillist style during one phase of his career. 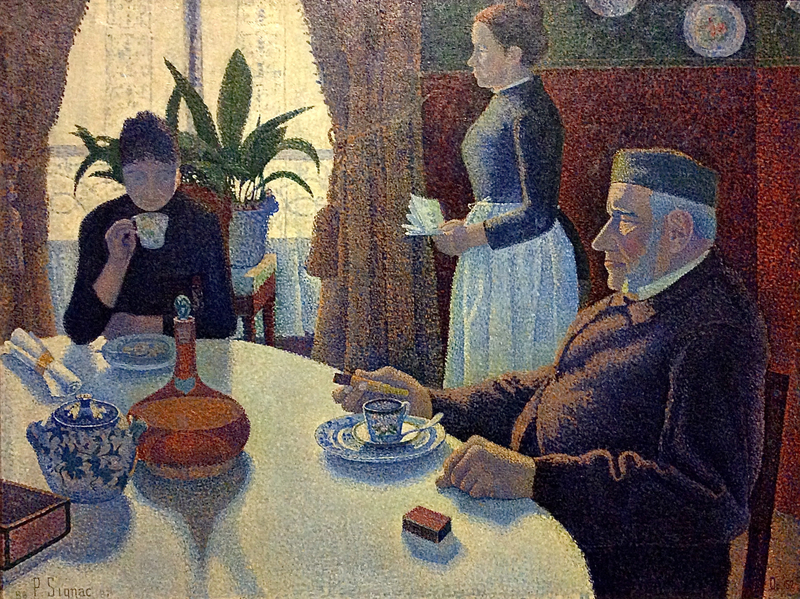 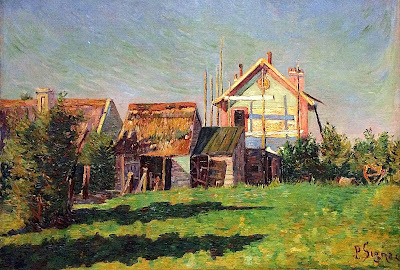 Théo van Rysselberghe was a Belgian Neo-Impressionist.